In 1969, a young, dashing army officer, by the name of Muammar al-Gaddafi headed a group of officers in a bloodless coup to overthrow the Libyan monarchy. Riding on the popular Nasserite ideology of the time, Colonel Gaddafi and his young band of idealist officers declared that their aim was to renovate Libya and bring social justice to a deeply unequal society. Forty years on, it’s clearly the case that Gaddafi undoubtedly revolutionised the country. Libya has become the ‘Jamahiriya’ (people’s republic) and its revolutionary cocktail of socialist and pan-Arab ideology (as expounded in Gaddafi’s little ‘Green Book’) made it the new darling of the Arab world. 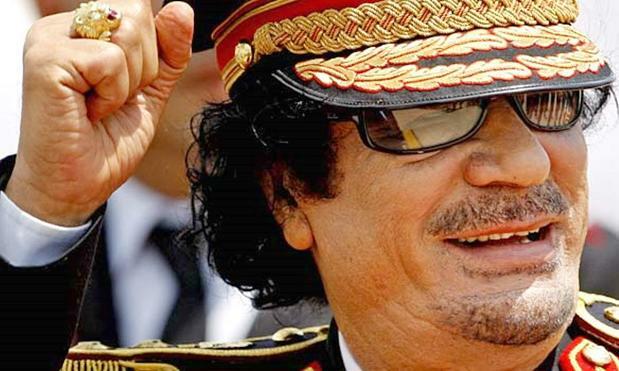 Despite initial leadership successes on the African and Arab regional stages, Gaddafi is now considered nothing more than the eccentric shadow of his former self. His exaggerated showmanship (elaborate costumes, long and unprepared speeches and countless self-bestowed titles) has also made him a laughing stock amongst his peers and the object of ridicule at African Union summits. How ironic it is then that forty years on, and despite its revolutionary beginnings, his regime has become exactly that which it was meant to replace: a nepotistic and closed political clique.The sad reality today is that the Gaddafi clan continue to preside over the destiny of the oil-rich nation like a family business. Indeed, most of Muammar Gaddafi’s offspring and extended family hold positions in government. Regardless, high oil revenues and a relatively small population have enabled the regime to maintain a relatively strong hold on the country. Needless to say, dissent is not, under any circumstances, tolerated. However, the ‘King of Kings of Africa’ is an ageing man and with age comes the thorny issue of succession. Recent rumours in the international media point to signs of a coming transition. Unsurprisingly, a copious amount of conspiracy-mongering amongst potential successors consequently followed said rumours. The succession in Libya, it seems, will play out, as in most Middle Eastern dynasties, between the ever-present triumvirate: the Father , the son (or in this case sons) and the regime’s establishment. Seif El Islam and Mutassim Gaddafi, are the primary candidates to succeed the “Guide of the Revolution”. Seif, with a PhD in engineering from the London School of Economics, represents in the eyes of many, both abroad and at home, openness to the west and the hope of democratic reform. 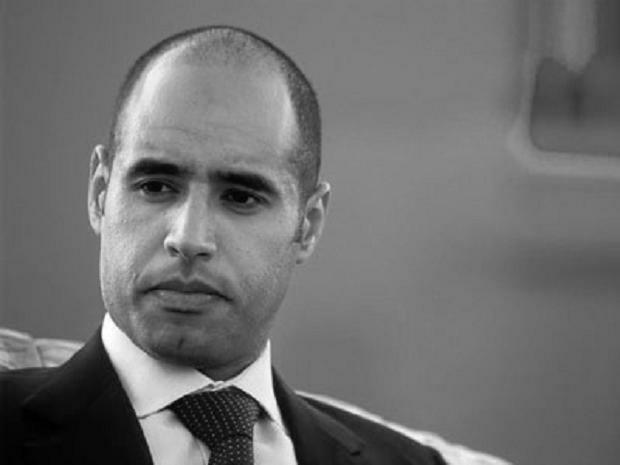 He has headed several non-governmental organisations and charities and been credited as the man behind Libya’s recent rapprochement with the international community. His brother Mutassim however, seems to have followed a path similar to that of his father: the army. The secretive Mutassim, more attuned to the regime’s inner workings, was appointed head of the country’s national security council , despite previous rows with his father. 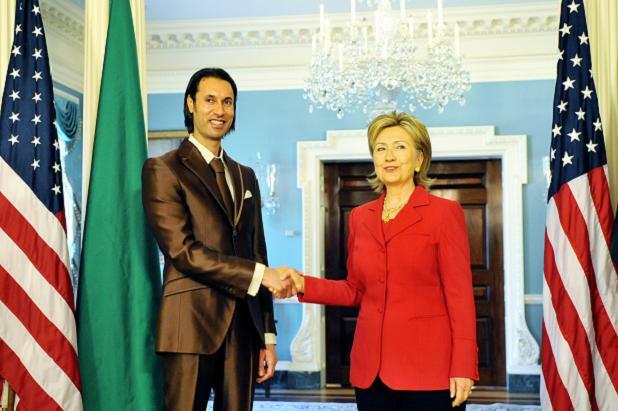 Clearly Gaddafi is more forgiving than he lets on. Mutassim was the first high level Libyan official to visit the United States following the normalisation of diplomatic ties between the two countries. His now infamous photo-op with Hillary Clinton seemed a clear indication of his growing importance and the regime’s wish to see his greater mediatisation. In all of this, one should not rule out Moussa Koussa. The former head of the all-powerful Mukhabarat (intelligence agencies), is undoubtedly the establishment’s preferred choice. Closed regimes often prefer to entrust matters to one of their own, and Libya’s former intelligence chief is a primary example of continuity and loyalty to the ways of the Gaddafi Sr era. Moreover, as Libya’s foreign minister, Koussa has also established himself amongst other Arab leaders as a reliable partner. Domestically, whilst he no longer heads the nation’s intelligence services, Koussa remains a very influential and feared political figure in the regime. In this respect, should tensions or indecision between brothers grow, his credentials as an experienced statesman both domestically and internationally, will be an important factor for Libya’s kingmakers. For those who see hope in Seif El Islam’s meteoric rise, caution is advised. As the experience of Jordan’s transition suggests, a nicely packaged and youthful leader is not always synonymous with democracy (far from it). Moreover, there is little indication that the political and military establishments in Libya is ready/willing to inject this type of much needed youth into positions of power. As recently as this week, several Arab journalists, operating from Tripoli and members of Seif’s media group, were arrested for criticising the government. These arrests demonstrate several things. Firstly, Seif El Islam is skating on thin ice: the arrest of journalists working under his sponsorship highlights the extent to which he no longer enjoys (as he once did) the protection of his omnipotent father. It may also be an indication of conservative forces’ attempts at isolating him, leaving the path open to either his brother or Moussa Koussa. In any case, whoever will take over is of little importance to Libyans. Like most Arabs they have come to view their political system and leaders with a certain type of detachment and irony. In the meanwhile, one can only hope that meaningful change is on the way for a post-Gaddafi Libya. Great read, grabs your attention throughout and very informative. Shows passion. I remember watching a youtube replay of a past (but recent) Arab League summit where Qaddafi criticised some Arab states in commiting to efforts to halt weapons into the Occupied Territories as part of some wider counter-terrorism effort which were orchestrated by the US and Israel. He criticised it on two themes that 1) several decades ago such actions were legitimate sincce the weapons were for resistence and 2) certain belligerents i.e. Israel were armed to the teeth by the US with all sorts of state-of-the-art weapons, thus arming the resistance with small arms were legitimate. To suddenly reframe the situation with the idea of couter-terrorism deligitimizes the resistence as being nothing but a bunch of terrorists, which Qaddfi thought was a betrayal and a stab-in-the-back on part of the Arab states. Those views by Qadaffi provoked I think constructive debate on that particular perspectice… Now as this article touched on, things like ‘King of Kings’ and tearing up the UN Charter looks comical and loses seriousness. Kinda sad. Qadaffi must feel fed up with a certain League.